CASA (Collaborative Adaptive Sensing of Atmosphere) WX Executive Council, comprised of elected officials, emergency managers, and other stakeholders from the NCTCOG region, advises the North Central Texas Council of Governments' Executive Board, and Engineering Research Center plans to bring the first Urban Test Bed to the NCTCOG region. 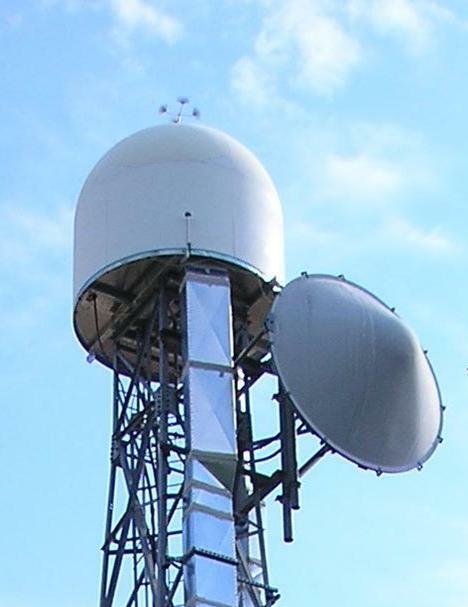 These radars make high resolution observations at low altitudes on a scale that benefits public safety and commerce. CASA has already demonstrated, with a rural Oklahoma test bed, the potential for earlier tornado warnings, tornado and high wind forecasts, detection of high wind events, and more precise rainfall estimates. Moreover, CASA takes an “end-to-end” approach to technology design and has engaged users of weather data, such as NWS forecasters and emergency managers, as evaluators of the technology. There are a total of 8 proposed radars that are currently committed to the NCTCOG region for this Urban Test Bed. We are looking to create a partnership with public and private stakeholders in a metropolitan area for our next radar system deployment to validate CASA concepts in a more complex environment.